You’ve read the posts. You’ve submitted your own WTFs. Now it’s time to take it to the next level: The Daily WTF: Live is coming to Pittsburgh, PA. In the style of The Moth or Risk! podcasts, we’re getting our fellow IT drones up on stage, to share their tales of their worst WTFs, their successes, and true tales of life in the IT trenches. The live show is April 10th, 8–10PM at the Maker Theater in Pittsburgh. Tickets are available now. Don’t worry if you can’t make it to Pittsburgh. We’ll be recording the show, and sharing the best stories here on the site from time to time, in addition to our normal stream of WTFs. If you’re in around around Pittsburgh, and think you’ve got a killer story and want to get in front of those lights, we still have open slots for storytellers. Send a brief (1–2 paragraph) pitch for your story to storytelling@jetpackshark.com, and Remy will be in touch to discuss. (Your story doesn’t have to be a pure WTF) We'll work with you to build up a great 8-10 minute piece you can perform. This event is brought to you by our awesome and proud sponsor, Puppet Labs*. As we mentioned in their sponsorship announcement article, thanks to their support, we’ll be able to create some exciting new content, do more meet-ups, and have a lot more fun all-around. This is an example of that and we are still very excited to be working with them! Check out their intro video, it gives a pretty good overview of how they help their customers get things done. 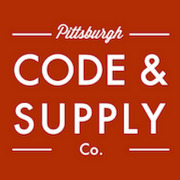 We’d also like to thank Code & Supply for helping us network with the Pittsburgh IT community. Code & Supply is the largest IT community group in Pittsburgh, with frequent meetups and a variety of activities. They’ve helped connect us with performers and are helping promote the show with their community. 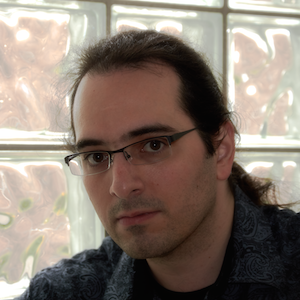 They even let this guy give a talk on using storytelling to communicate technical details.